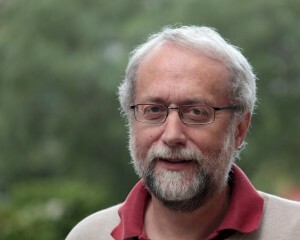 Antony Unwin is Professor of Computer Oriented Statistics and Data Analysis at the University of Augsburg in Germany and a Fellow of the American Statistical Society. He was formerly at Trinity College Dublin and also worked in industry. His research interests lie in data visualization, especially in interactive graphics, and his group have developed several pieces of interactive graphics software as well as writing packages for R. He sees Statistics as very much an applied subject and teaches accordingly, favouring real applications and routine use of computer software (primarily R). He is joint author of the book “Graphics of Large Datasets” and joint editor of the “Handbook of Data Visualization”. He has extensive consultancy experience and has supervised many students’ masters theses on industrial and commercial projects. His doctoral students include Graham Wills, Martin Theus, Heike Hofmann, Simon Urbanek, Alex Gribov, and Alex Pilhoefer.